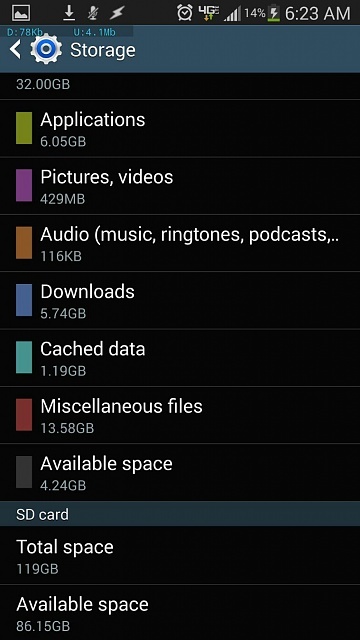 128gb microSDXC card works on the Note 3! 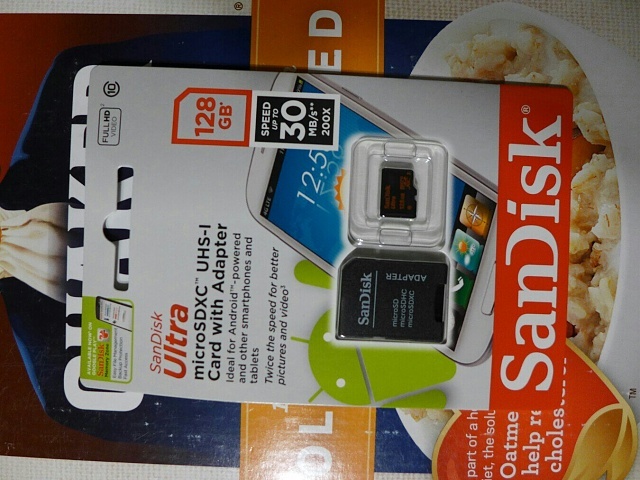 I bought the Sandisk 128gb microSDXC card from Amazon.com for $120. Installed it and so far everything looks OK. I just started to load it up. Spencerdl, josephinstasis44, jerry12 and 2 others like this. Thanks for sharing this. I'll be getting one too now that I know it works. Great news, thanks. Mine is arriving on Tuesday. 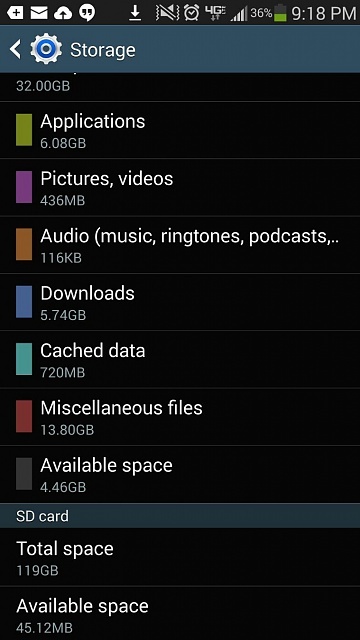 Did we have have any doubt that the beast of a phablet would handle a beast of a micro SD card? That's rhetorical of course. Good news for the storage needy! when did you make your order? I have been looking at this card for the last week and it has been on backorder and listed as shipping in 4 to 6 weeks. I have been thinking about putting in an order anyway because I now that, sometimes, Amazon gets stock in and ships earlier on items listed as backordered. Ordered on 2/25,got it Yesterday. IMO, when you load it up passed 64gb, that will be the proof that it works. Thanks. When you ordered, did it indicate an anticipated shipping time? Right now it says "within 4 to 6 weeks". Just curious if you received yours within the estimated timeframe or sooner. In case you don't know yet, 4.4 KitKat messes up reading and writing to the external SDcard unless you're rooted and can modify platform.xml. I wish I could go back to 4.3 Jelly Bean. 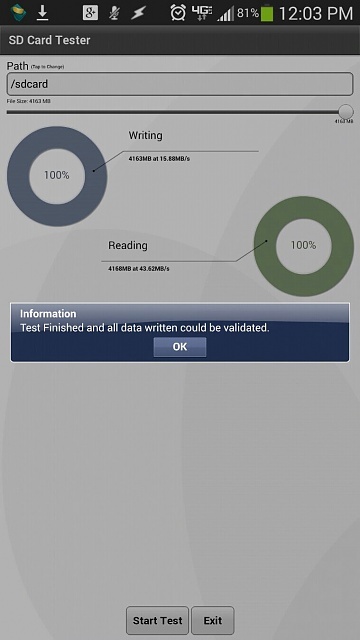 If you come across a read/write speed test app that has been updated to work, let me know please. I'm supposed to be testing one and it's hard when none of the developers have updated their apps for KitKat. Messed up = fixed a glaring security hole that allowed any app to write to any folder on an entire partition. The same people were saying the same sky-is-falling nonsense when 4.1 changed how SD cards were treated, yet developers updated their apps and all was well. What is the best speed test app for 4.3? Jerry Hildenbrand and shortwave8669 like this. Dude, please keep posting screenshots here. My N3 is on KitKat, and I can use your results for the blog post. This SD Card Tester crashes when I try to start it on my Sprint Note 3 on stock 4.4 KitKat. Apps need updated with the new API to write sequential files on KitKat, and none of the developers seem to have done so yet. The problem though is once Verizon decides they want to update you, they force it down your throat. Oh and damn you for stealing my thunder!! I bet you saw my thread about it didn't you? I would've had the card by Friday, but alas I'm not home to play with it.....Damn you anyways!!! THUNDER STEALER!!! How do you fill up 120 GB...? Verizon's LTE network uses band 13 allegedly - so does that mean the Z2 (which has that band) works?